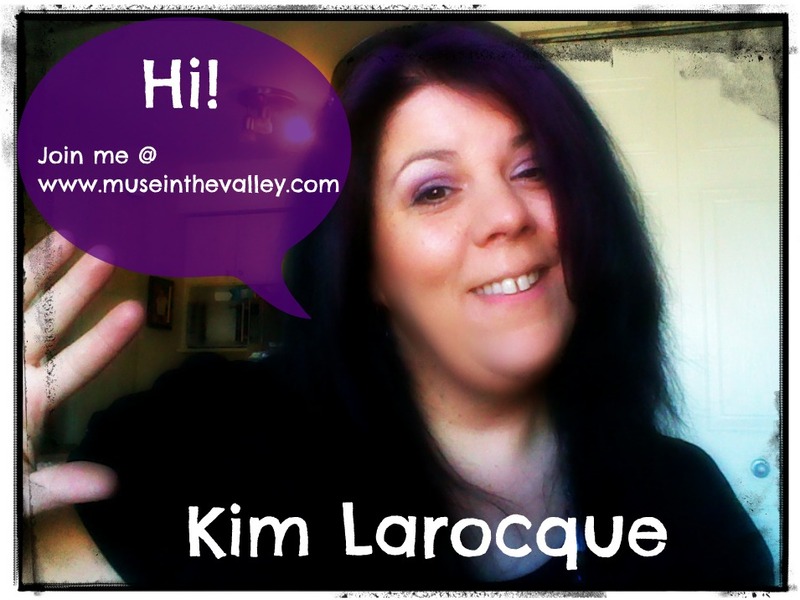 I am Kim Larocque, the mind and spirit of Muse In The Valley, a blog dedicated to assist in interpreting dreams, inspire and promote self-awareness. I write about various subjects including depression, self-love/self-care and spirituality. Every Thursday is dedicated to an Author Of The Week, with various interviews and book reviews. Fridays, (#DreamFriday) I focus on a recent interpreted dream and analysis. I began interpreting dreams after working alongside a psychologist, in my early 20’s, and started publishing my client’s dreams (with their permission, naturally!) in mid 2011. I’ve assisted many, online and offline, solve their problems by looking at their dreams and working with them to discover the hidden meanings in the symbols their dreams are presenting. I’ve been keeping a journal since the age of 12, and blogging has become an outlet I truly enjoy. I am also an amateur photographer, an avid reader and a creative soul. Prior to blogging and dream-work, I spent the past 15 years teaching elementary school and raising my children at home. You can contact me via Twitter @kimishly, on Facebook Muse In The Valley or by email at: kim.larocque@sympatico.ca. Hey! Just stopped by to say “bonjour!” since we keep bumping in to each other on Twitter and at FemCentral. As coincidence would have it, I have a 10 y old with ADHD! See ya around campus! Its wonderful you stopped by! Thanks so much. My son is now 12 almost 13. He’s finally come to terms with his ADHD, and he works through it daily. Congratulations. I have given you the ABC award (Awesome Blog Content) for your blog. Please go to my page here: http://workthedream.wordpress.com/2012/03/27/the-abc-award-awecome-blog-content-award/ to get the award and see what to do. Hello, Kim! Thanks for the link. I tried to link to your non-Wordpress site, but the link didn’t work from here. Weird. I’ll have to fix that link!!! There fixed!! Thanks for letting me know. Thanks for liking my post, “Vegan Tuscan Kale and White Bean Soup.” It really is delicious. I hope you are able to try it sometime. Please let me know how it turns out!